Habitat – Wood edges, and road verges, under most tree types, with a liking for leaf litter. Key features: Smooth, purple cap, browning with age, 5 – 15cm, domed at first, becoming flat and often upturned with age. Bright purple crowded sinuate gills, becoming drabber with age, but always with a blue/lilac hue. Stem bluish/lilac and fibrous. Delightful aromatic, floral scent. Wood blewits generally do not appear until there has been at least a light frost. This makes them doubly appealing as other top gourmet mushrooms can become scarce at this point in the season. And make no mistake – these are right up the top tier of the finest edible fungi. 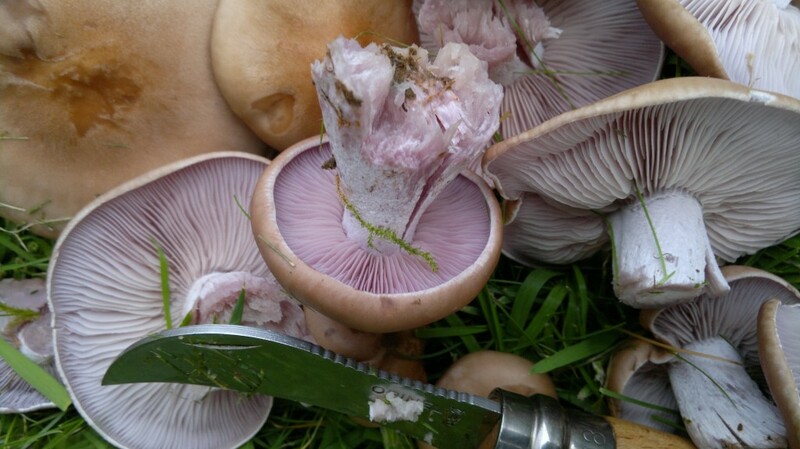 Unlike many of the tastiest mushrooms which are myccorrhizal (growing in complex symbiosis with trees), blewits are saprophytes, living off dead matter and breaking it down. 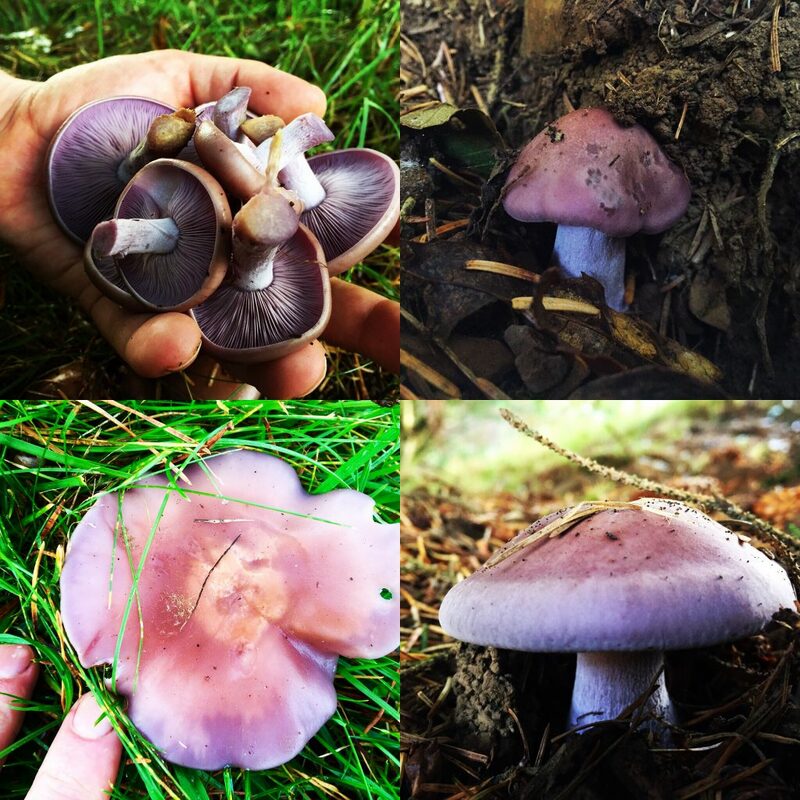 As long as there is leaf litter present, even broken down through the top soil layer, wood blewits can thrive. I normally find them on wood edges, beneath hedgerows and even quite regularly in grass some distance from the nearest trees. You will seldom come across a lone blewit and often find them in large clumps or loose rings sometimes several metres in diameter. This can make for very fruitful picking, though there may be some wastage as insects enjoy them as much as we do. Quickly splitting senior specimens down the middle will reveal any infestation. 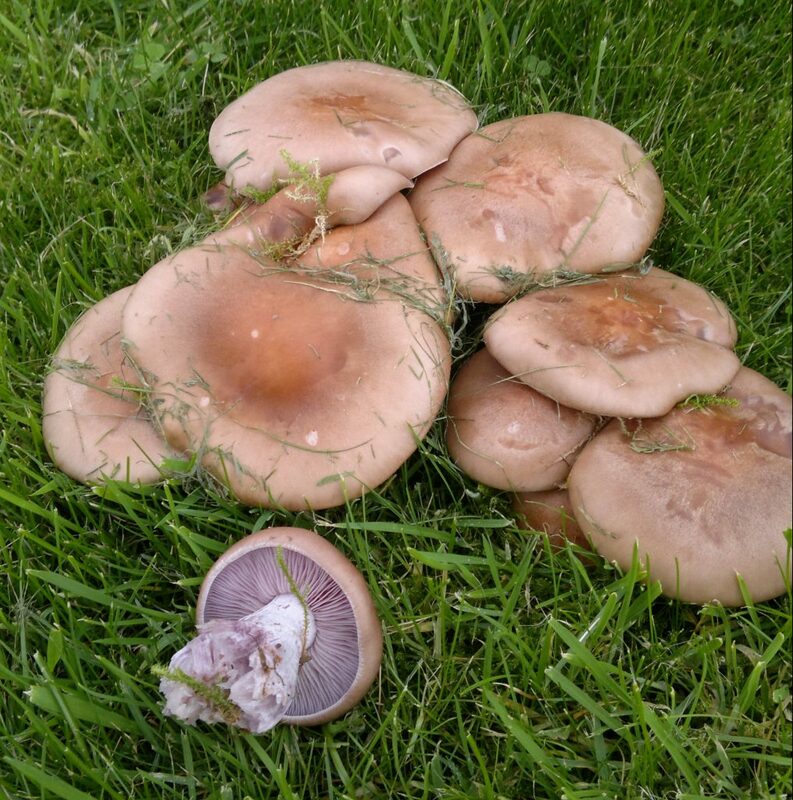 Blewits have a slippery texture when cooked – but slippery in a delicious rather than slimy way. They have a floral bouquet – retained through cooking – which I think is unsurpassed in the fungal world (ceps and truffles excel in more earthy ways). That they appear as the game season kicks off is divine providence: a match made in heaven. 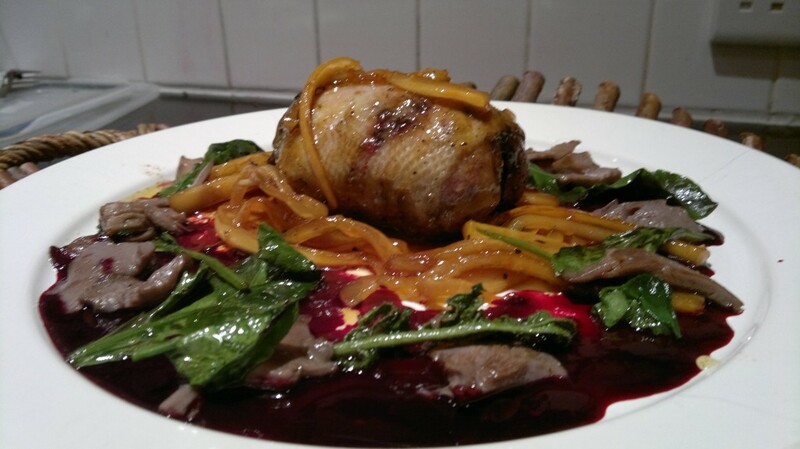 Stewed with pheasant, sauteed with seared venison liver, or pan fried with garlic to accompany roast fowl are my favourite late autumn treats. 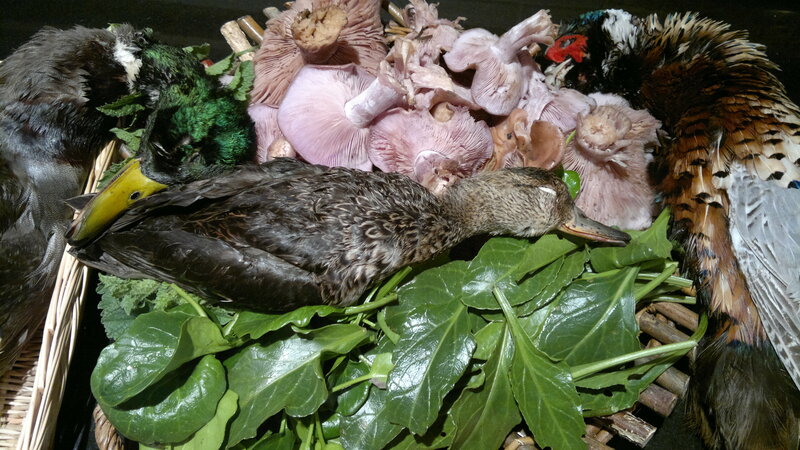 I traded some winter chanterelles with local gamekeeper for some teal and mallard and had about my finest fully-foraged meal of the year last week. Personally i’d just eat them myself – delicious. Not sure there’s a market in them for dyeing anymore.